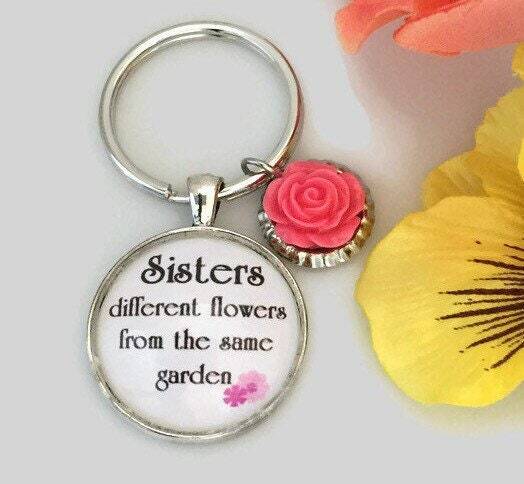 This is a perfect keychain for your Sister. The keychain is created on a silver plated tray covered with a glass dome. 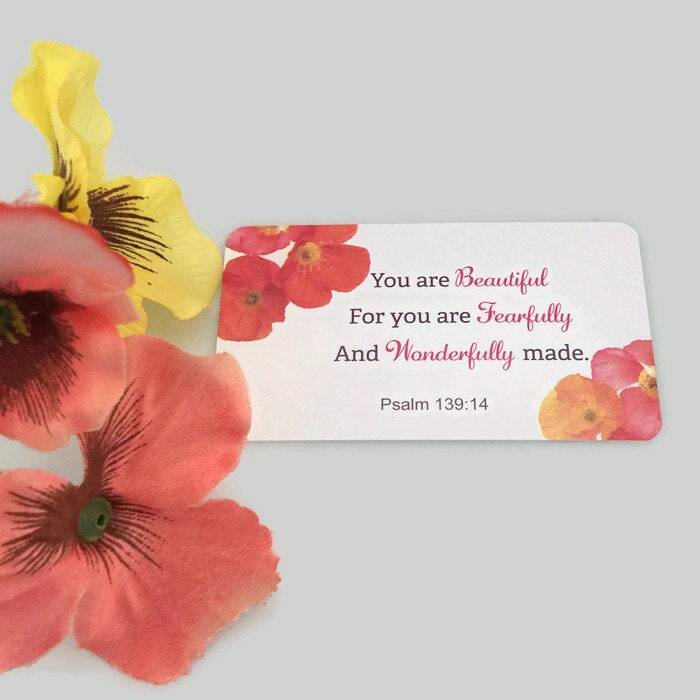 The glass is round and measures 30mm which is approximately 1 1/2" around. The key ring is a strong silver metal that is 1 1/2" around. Under the glass dome it reads: Sisters, different flowers from the same garden. 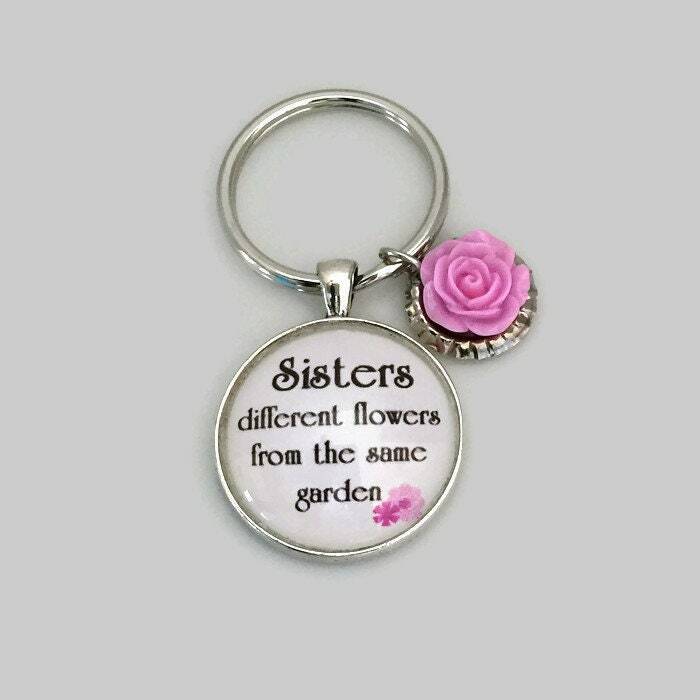 Attached to the keychain is a rose charm in your choice of a peachy pink or lavender rose. 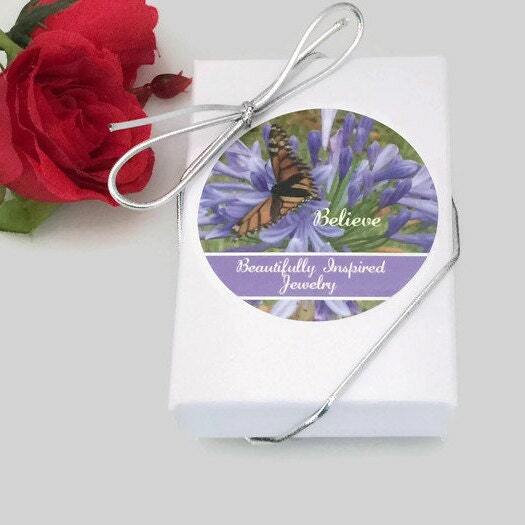 The keychain comes in your choice of gift box. 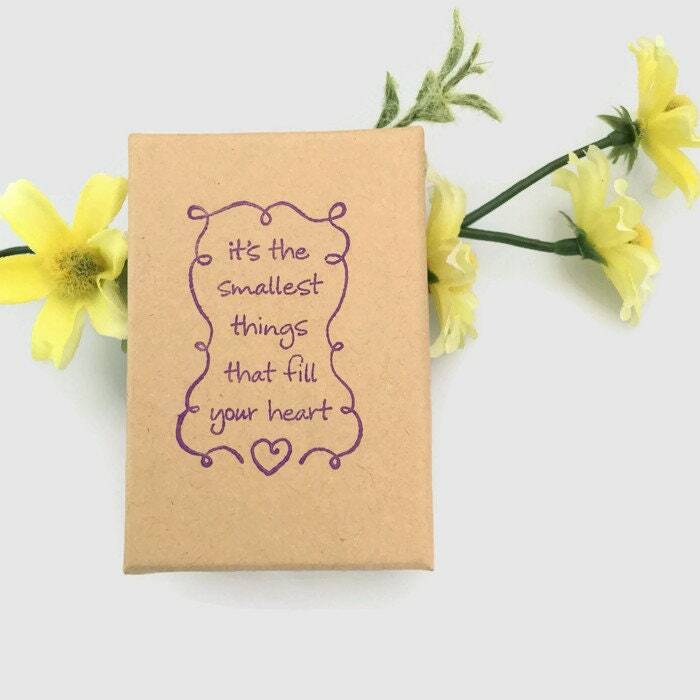 Choose from the elegant white gift box with silver cord, or the natural kraft gift box that is hand stamped with a message: It's the smallest things that fill your heart. 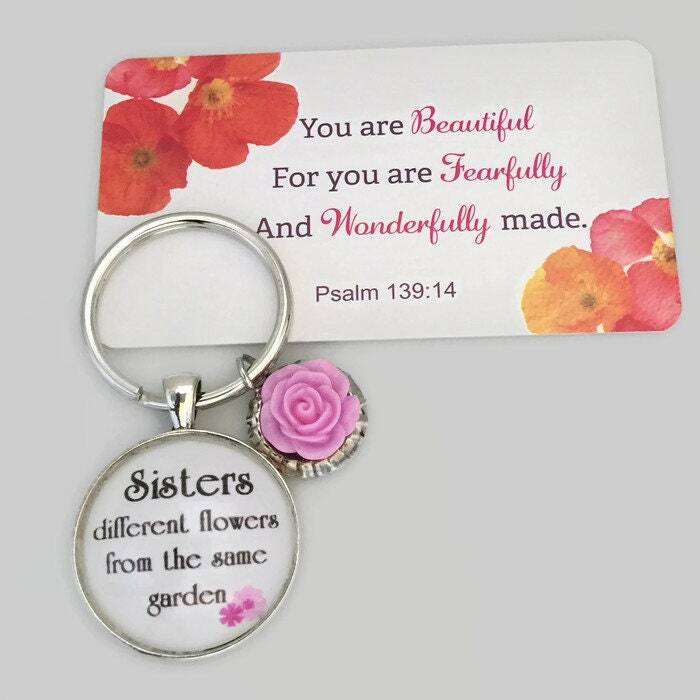 Please note that this keychain is very durable and strong and is water resistant to a splash of water or rain. However it is not waterproof, so it should not be submerged in water.